Single Family Home on 40 Acres (HUD Manuf) with 2 car garage. Wonderful views and privacy. 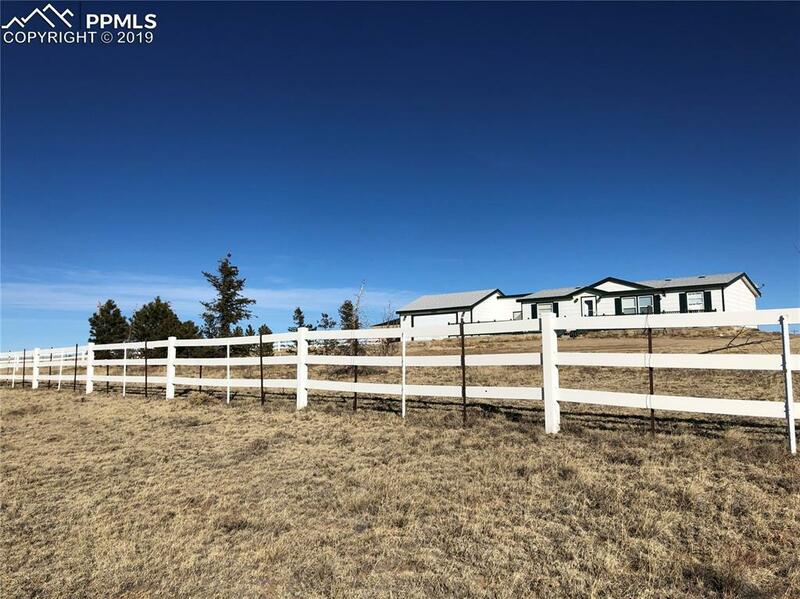 New Outbuilding (40X60), Storage, Sip Iced Tea on Your Front Deck Overlooking the Pikes Peak Mountain Range ~ Wonderful Horse Property, Fully Fenced, Loafing Shed in Pasture, Round Horse Pen, New Barn ~ Move-In Ready Home ~ 2-Car Garage ~ Classic White Fence Outlines this Country Home!